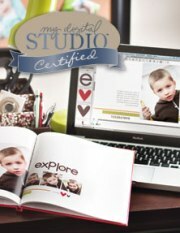 This is based on a sketch from May’s Issue of Stampin Success. Although I use Sweet Pea Stitched Felt on many of my projects, I still seem to have a lot left! Instead of holding on to it, I decided I will keep using it and when it’s gone, it’s gone. I designed this birthday card for a family member. The patterned paper is from Thoroughly Modern DSP, and I know the patterns are a little bold, but because one is so neutral (Sahara Sand) I think it works. Separating the paper is Old Olive 5/8″ Grosgrain Ribbon. The sentiment is from On Your Birthday colored direct to stamp with both Chocolate Chip and Rose Red Markers. 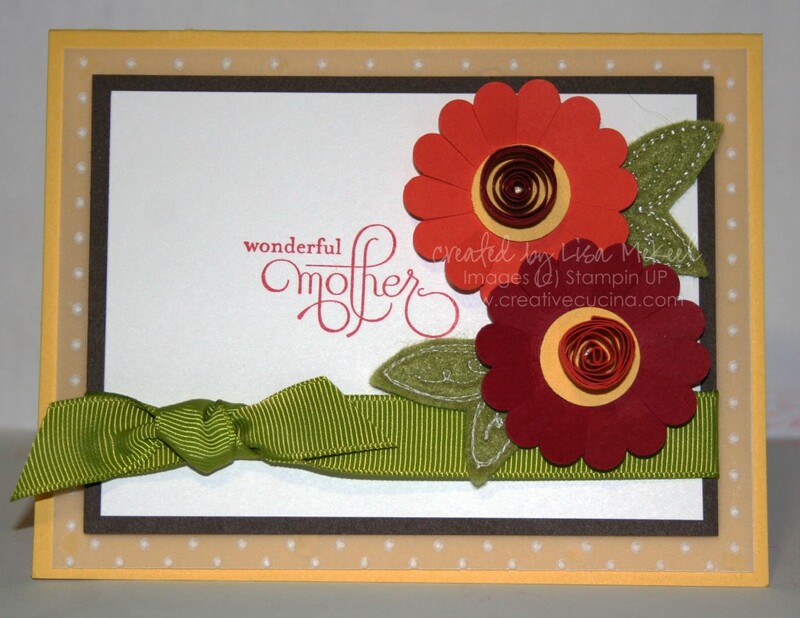 I stamped it onto a square of Whisper White and paper pierced around the edges. 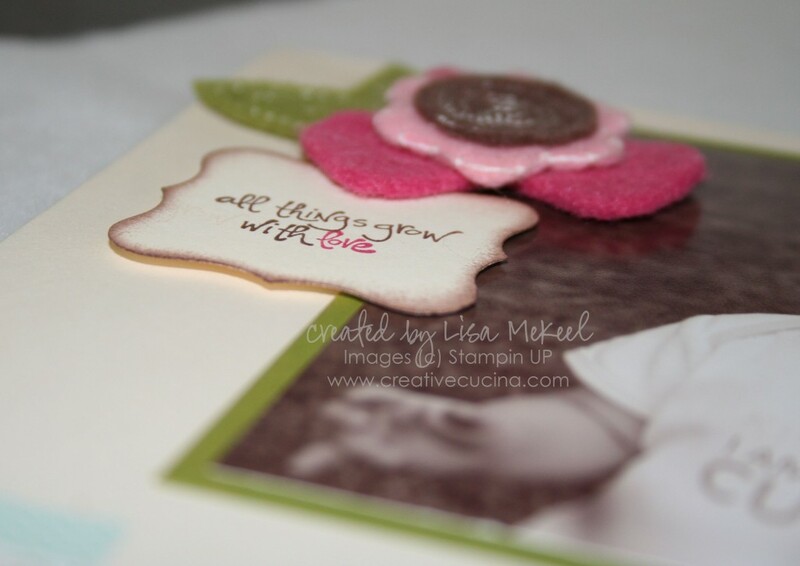 That was then layered with a slightly larger square of Chocolate Chip card stock and attached to the base with Stampin Dimensionals. 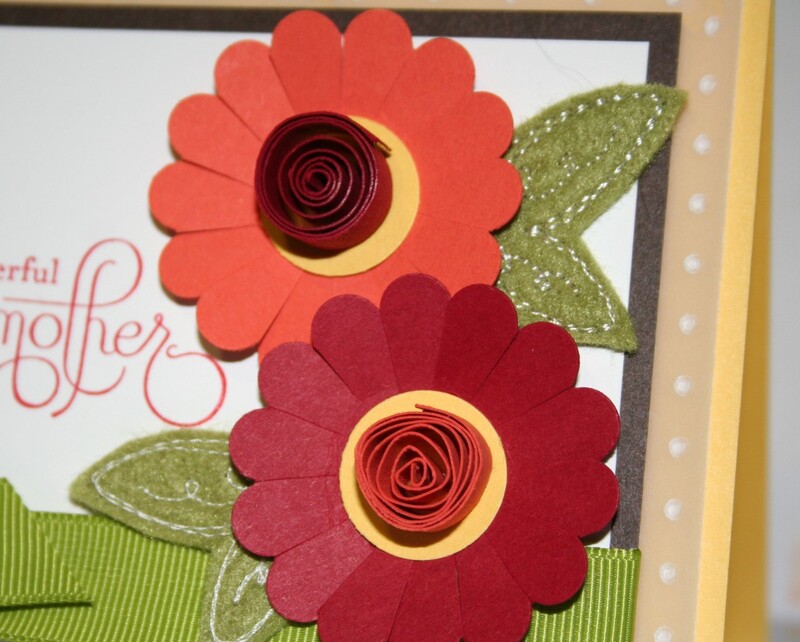 The Sweet Pea Stitched Felt flowers, leaves, and circles were placed around the sentiment, adhered with Glue dots. 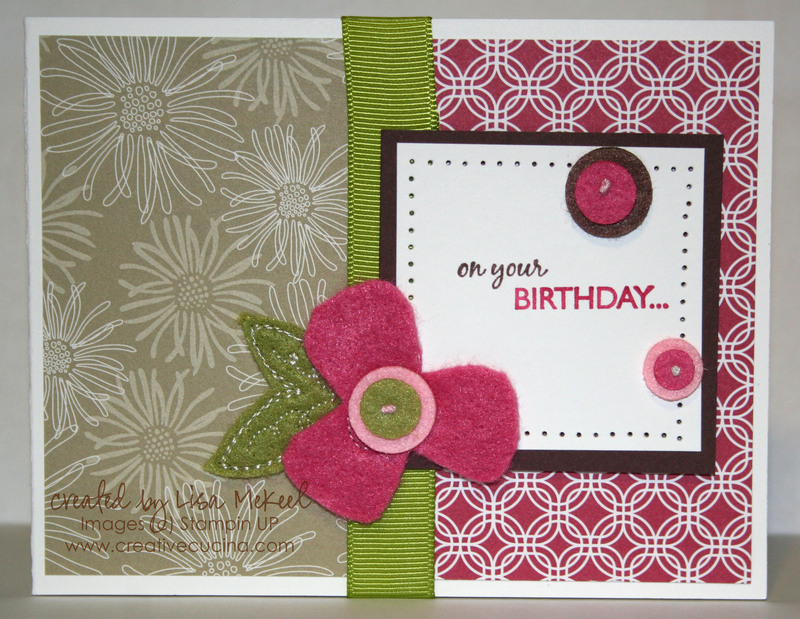 Although it doesn’t have many layers, the use of the pattern, texture, and colors make the card pop.